A Smarter Approach to Tile Installation. 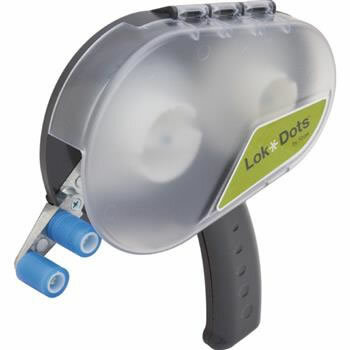 LokDots uses a system of adhesive dots and a lightweight handheld applicator to install EcoWorx carpet tile even in some of the most challenging conditions. The pressure sensitive system requires little to no training, uses as much as 97% less adhesive material (compared to wet adhesive) and allows for virtually immediate occupancy. The odorless, non-toxic adhesive makes it easy to use in occupied spaces. LokDots are also ideal for high moisture environments with up to 12pH, 10 pounds and 95% relative humidity.